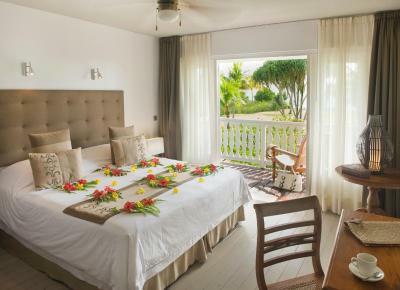 Lock in a great price for Hôtel Raiatea Lodge – rated 9.2 by recent guests! We loved the property. The staff was super nice. Upon arrival we were welcomed with a cold fruit drink and cold wet face towels! The rooms were excellent and the bed was very comfortable. The dining room was open to the beautiful grounds with a view of the lagoon. The food was fantastic! We enjoyed the swimming pool and also the snorkeling off the pier was like being in an aquarium! We can't say enough about the owner, Oliver, and his lovely wife--they are so gracious. We were extremely pleased and enjoyed our stay. The staff was very friendly and accommodating. They were very personable. The food was good and they had everything we needed. For example, we were able to rent a car onsite. The staff is very warm, welcoming, friendly and attentive! You immediately feel at home! The hotel is beautiful and relaxing! The food was absolutely outstanding! Plus Nikka whiskey! Please forego Tahiti. 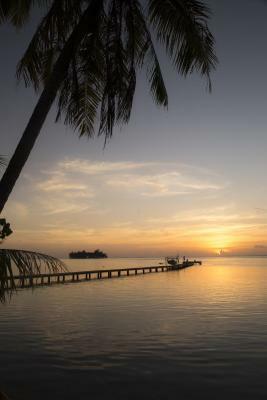 The Raiatea Lodge beats anything Tahiti can offer! And you are right across the road from the beach. Charming hotel with super friendly and helpful staff. Best food at their restaurant I had the entire time I was in Polynesia! I stayed for one night before boarding a sailboat for a week. They picked me up at the airport and also provided transport to the marina the following day. Great kayaking to a small island in the lagoon near the property. Free bikes to ride into town. Staff was super! Kind and friendly. Meals were fine but pricey. Cute room. Delicious food in general. The vanilla yogurt, bread etc is wonderful. Nice pool. Wonderful large grassy frontage down to water. Bikes available for a town run of about 6 miles round trip. This was an amazing location on this island!! We came off a private boat that we had been on for 7 days that was over the top amazing and this place was a perfect continuation to an amazing trip! We road the bikes all over the island, took the canoe out, swam in the pool had amazing meals the rooms were so comfy and the property was beautiful!! The staff was beautiful and so kind and helpful. Wine list was great and reasonable and we were beyond happy with our stay! 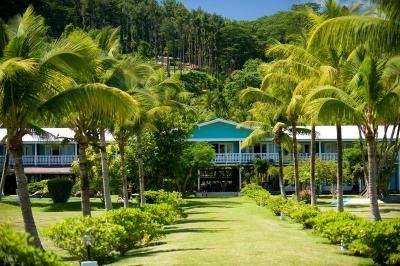 Hôtel Raiatea Lodge This rating is a reflection of how the property compares to the industry standard when it comes to price, facilities and services available. It's based on a self-evaluation by the property. Use this rating to help choose your stay! One of our top picks in Uturoa.Hôtel Raiatea Lodge offers air-conditioned rooms, each with a large terrace overlooking the lagoon. 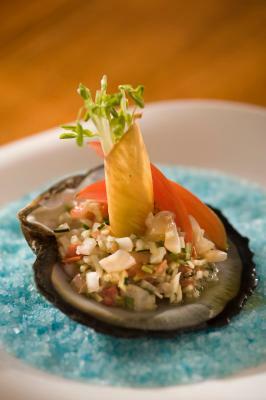 The bar and restaurant look out onto the swimming pool and serves Tahitian and international cuisine. 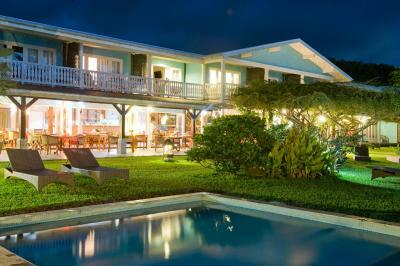 Raiatea Lodge Hotel is located on the west coast of Ra’iatea, opposite Bora Bora. 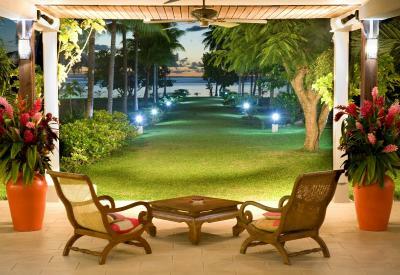 It is a 5-minute drive from Raiatea Airport and 10 minutes’ drive from the town center of Uturoa. Each room is fitted with a fan and air conditioning, a flat-screen TV, in-room safe and a bathroom with hairdryer. Free Wi-Fi access is available. Free activities include snorkeling equipment, 2-person canoes, bicycles, board games and a range of books. The small island of Miri, with a white sand beach is only 10 minutes away by canoe and boat trips can be arranged. 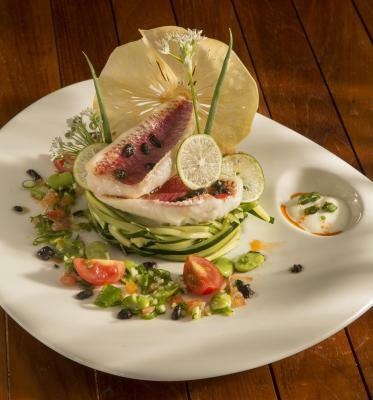 Guests can enjoy a meal at the restaurant, Le Blue Beach Lodge which is open for lunch. This property also has one of the top-rated locations in Uturoa! Guests are happier about it compared to other properties in the area. 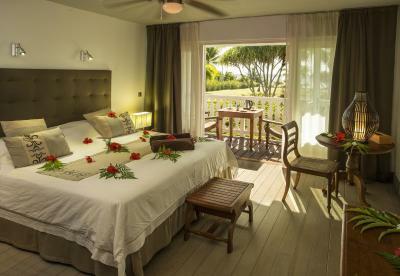 When would you like to stay at Hôtel Raiatea Lodge? These rooms include a refrigerator, air conditioning, ceiling fan and an in-room safe. These rooms include air conditioning, ceiling fan, in-room safe and bathrobes. 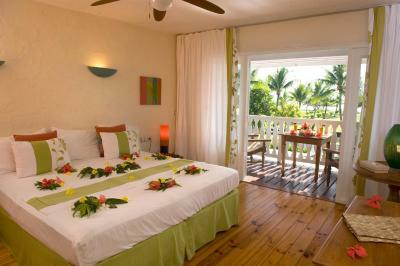 The bathrooms have been renovated and offers wider views of the lagoon. Please note that room rates are good for 2 guests only. This room cannot accommodate any additional guests. 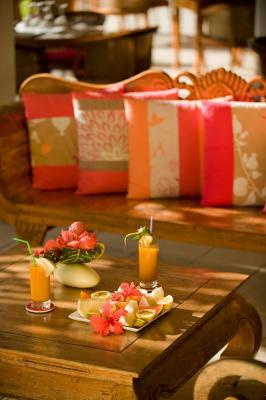 House Rules Hôtel Raiatea Lodge takes special requests – add in the next step! Hôtel Raiatea Lodge accepts these cards and reserves the right to temporarily hold an amount prior to arrival. Please note that this property requires a refundable fee of 1 night to cover any incidental charges, damage to the property or excessive cleaning fees. This amount will be refunded after inspection of the accommodations at check-out. To reach Hôtel Raiatea Lodge, guests can fly to Papeete and then take a domestic flight to Raiatea Airport. 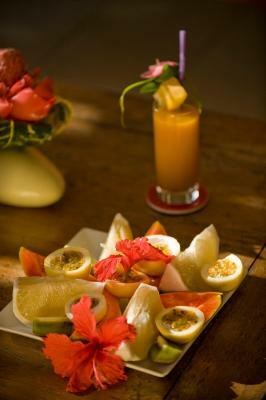 It is a 5-minute drive from the airport to Hôtel Raiatea Lodge. There is a transfer service to and from Raiatea Airport, which costs XPF 2000 per person one-way. Please inform Hôtel Raiatea Lodge in advance if you want to use the service, using the contact details found on the booking confirmation. The vibration of the backdoor heat exchanger of the AC was very loud, so we turned off the air conditioner before bed. The cause probably lies in the suspension with the wooden building. The price for the hotel airport shuttle is 2,500 CFP above the price of the longer taxi ride to Uturoa (2,000 CFP), a small rental car costs 6,000 CFP for 24 hours from the airport. We received very friendly and good advice on the possible activities. The reservations of the achievements with third parties worked perfectly. The free use of kayaks to the Motu and inside the lagoon was a real plus. The west-facing balcony room had a stylish decor and a comfortable bed. The views of the garden and the ocean were very pleasant. 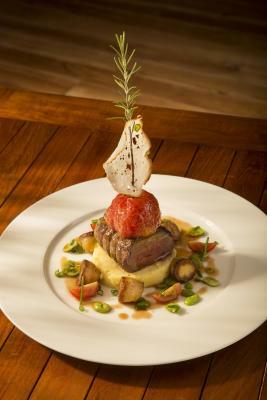 Outstanding were the services of the kitchen and the whole staff. Because of the location of the hotel we had half board with breakfast and the two courses dinner (from 18h) - extraordinary satisfied. Great location. Excellent welcome. Dinner and breakfast were both excellent! Air conditioner worked but could use servicing. The breakfast was great with a variety of fresh breads and pastries and plenty of fresh fruit, juice, and coffee. It's a nice location. The immaculate clean and top service from the property. We arrived to Elodie who greeted us with a fresh cold glass of juice, flannels due to the heat and a rundown of te many services available from the property. Our rooms were perfect in every way possible and my food was custom made to order👌 breakfast was amazing and te whole look of the complex was totally surreal. The only thing we would change is that the refrigerator cut off when we left the room, a very minor detail. I didnt like the fact that I didnt stay longer! This is a fantastic stay to us! Not a 5-star hotel but a 5-star service and hospitality. 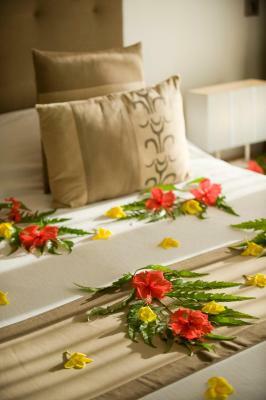 They decorated our room with plenty of tropical floor. The show at night was impressive and the dinner/breakfast included were local tasty. We visited the motu by kayaking and the scenery was gorgeous. We did the snorkeling and enjoyed the sunset at the sea. The shower didn't have a curtain which meant that all the bathroom floor gets wet when taking a shower. The mini fridge in the room gets powered off when removing the key from a switch next to the door, so everything in it gets warm after being gone a while. The wifi is not perfect, it stops working every now and then. The great pontoon, property of the hotel, is usually used by people not from the hotel (which is not supposed to be the case). The sunset view from the apartments' balcony is breathtaking. Excellent and great tasting food in the restaurant both for breakfast (homemade vanilla yoghurt!!) 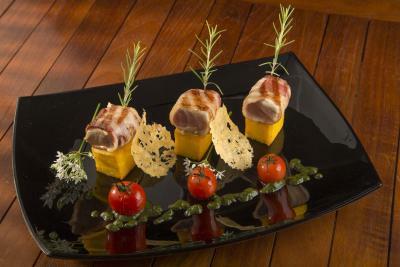 and dinner as well (red tuna dish to die for). Very welcoming staff, they gave us a thorough guide of the island (what to see and where to stop). Kayaks and snorkeling equipment are free for all guests. Lovely breakfast and food. Amazing place loved it all.